Could this be the last version of the original iPod? The MP3 player market never stands still. So it's no surprise to see that Apple, one of the main names in the portable audio market, has been rather busy of late. Last week it updated its whole range of MP3 players, and announced the exciting iPod touch, which brings the glamour of the iPhone to Apple's audio player range. 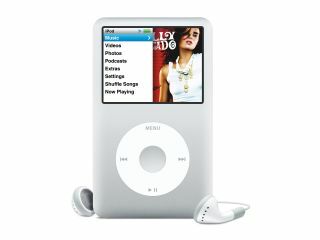 Of course, one of the updated products was the original iPod itself, now known as the Classic, and we've just reviewed the entry-level 80GB model. Last version of the original iPod? As reviewer Rob Mead points out, the original iPod concept being renamed as the Classic risks connotations not of a timeless masterpiece, but rather of a product past its prime. Suggestions are that this may be the last version of the player that revolutionised the MP3 player market, with Apple hoping the iPhone concept will do the same thing all over again. But in the meantime, the iPod is far from finished, especially now that it offers more gigabytes per pound than ever before. The result? "There has never been a better time to buy a classic iPod," says our review. "Does this feel like an end of an era, a last hurrah? Yes it does. Apple has probably done enough with its iPod refresh to keep it at number one in the sales chart this Christmas and it's great to go out on a high."